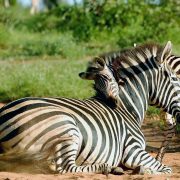 This package is our typical 5 day safari Tanzania that includes game viewing (wildlife game drives) in all the 5 days. 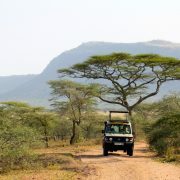 This means that you will go on a guided safari in all the 5 days you will be on this Tanzania safari. 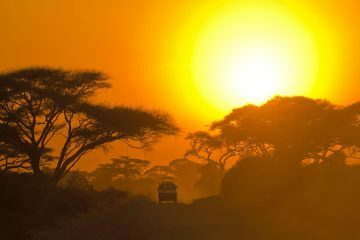 This safari however means that one should have the flexibility to start early on the first day and be ready to finish in the late afternoon on the Day 5 of the tour. The 5 days safari in Tanzania as published is a nice mid range lodging safari but we can offer the same package using other upgraded accommodations if you wish or even cheaper places where possible. Ask for free Customization! The 5 days safari in Tanzania starts and ends back at Arusha town which is the base town for all the safaris that we offer in the Northern Tanzania Safari Circuit. On this safari you get to visit all the most famous parks in the Northern Tanzania Safari Circuit namely; Tarangire National Park, the Ngorongoro Crater as well as the endless plains of the Serengeti National Park. A classic safari in Tanzania for 5 days like this gives a chance to sample all what this beautiful country has to offer in terms of wildlife safari. Serengeti National Park is the second largest after Ruaha National Park, but the most famous park in the Northern circuit owing to the fact that it is the home to the wildebeest migration which sees more than a million herds of wildebeests accompanied by more than 400,000 Thomson’s gazelles, 300,000 zebras and about 12,000 elands ponder the endless plains crossing ultimately to the Masai Mara Game Reserve in Kenya in Search for fresh grass and water. This results to a yearly world famous animal spectacle that sees the animals dare the dangerously Nile crocodile infested Mara River a phenomenon often referred to as ‘The Great Wildebeests Migration’. 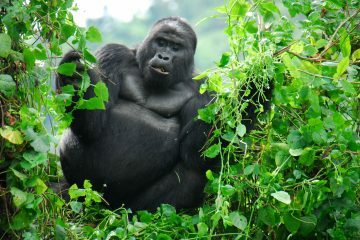 Other resident animals in their thousands roam the Serengeti all year round and this is not all. 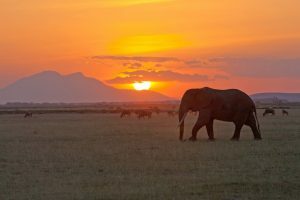 This program takes you to the equally celebrated wildlife area in the world and a UNESCO world heritage Center; The Ngorongoro Crater which is actually a large caldera which resulted from the collapse of an ancient enormous Volcano; believed to have been larger than Mt Kilimanjaro which is the largest and highest mountain in Africa. To add icing to the cake you start with a visit to Tarangire National Park a vast park (5th largest in Tanzania) where you will hope to see many large and small game alike including the rare ones like the long necked gerenuks, and the oryxs. This is a lodging 5 Days Tanzania Safari so you will be staying in a nice mixture of comfortable lodges and tented camps for that ‘out of Africa’ feel, but if you wish you can also do an ‘all lodge stay’ safari at a revised price. Just let us know if you want that. At Tarangire for example we can highly recommend the nice mid-range Sangaiwe Tented Lodge with great views over the plains and the Lake Burunge further afield. The lodges and tented camps included in this tour are comfort style or upper mid-range. They are safe and clean with great food. However if you want the same package customized to a more luxurious affair we can offer you the same package as a 5 days Safari Tanzania luxury option package. 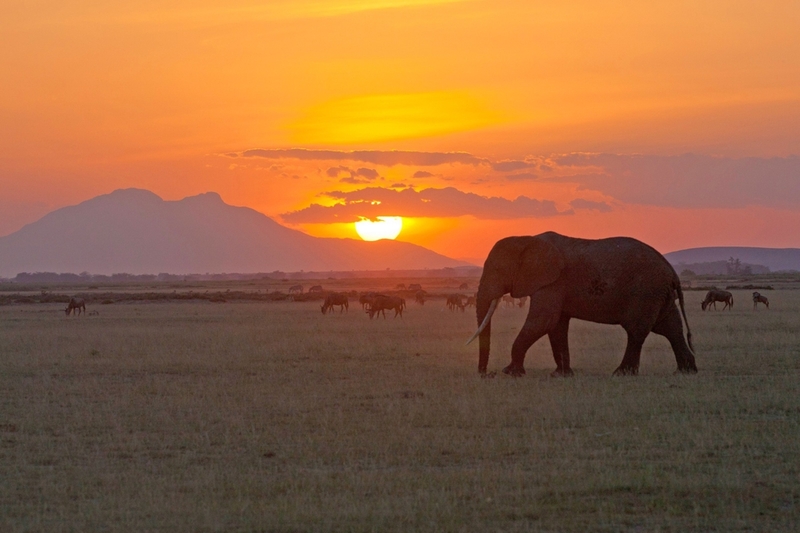 On this day you leave Arusha town; the base town for safaris in the northern Tanzania and along the Arusha – Dodoma highway a scenic drive towards the Tarangire National Park. You will pass by a Supermarket ( if you wish) for some last minute shopping of any personal effects that you may need then drive through a scenic Masai Steppe and arrive at Tarangire in 2 hours time or so. 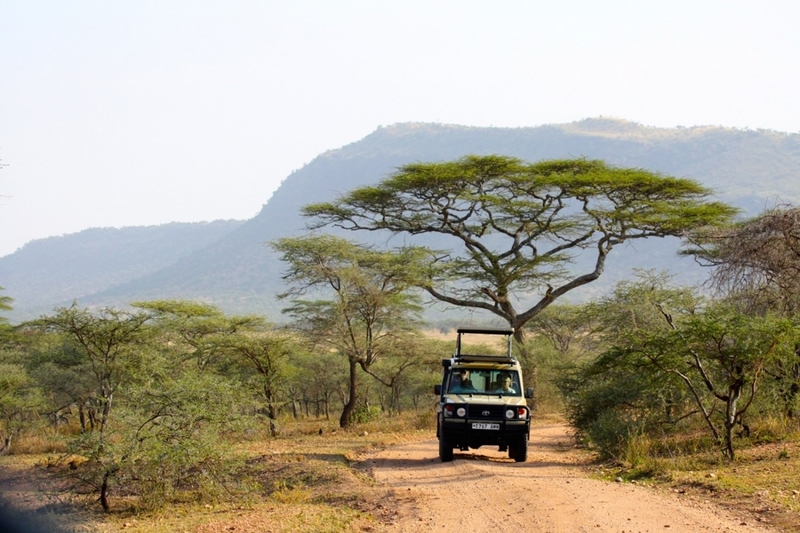 Your driver will take care of the paper work at the park’s gate then you will embark on your first game drive in the Tarangire National Park famous for its large herds of elephants and large baobab trees that dot the grassland. Lunch will be at a designated picnic site then afternoon game drives until sunset time to check in at a lodge / camp for overnight. Overnight at Marera Valley Lodge or Country Lodge or similar lodge at Karatu. Lunch and dinner included. Tarangire National Park to the Serengeti National Park. From the Tarangire National Park we depart early after breakfast and head across the Great Rift Valley’s floor, up the escarpment and traverse the Ngorongoro Conservation area in what will ultimately end up being a pleasant and enjoyable scenic drive as you enjoy the beautiful scenery and breathtaking vistas on your way to the Serengeti National Park. Arrive the Serengeti in the afternoon for an afternoon game drive until late in the afternoon when you will check in at a camp or lodge for campfire, dinner and overnight. Lunch is taken at one of the Picnic sites most likely at the Naabi Hill Gate where you will also get the chance to stretch your legs as your guide sorts out the registration and relevant paperwork. Dinner and overnight at Thorntree Camp or Serengeti Green Hills Camp. All meals included. Full day at the Serengeti National Park. 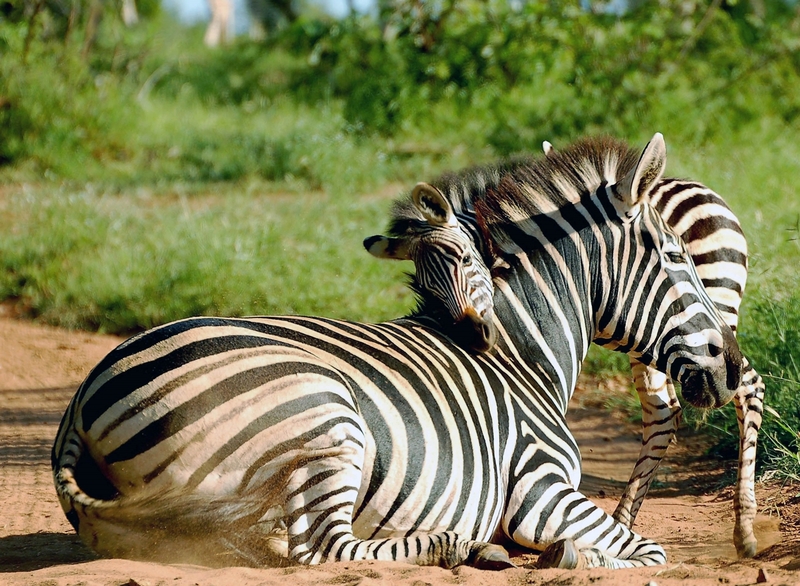 On this day you can wake up early for a sunrise game drive to try and catch up with the rare nocturnal animal species as well as the early risers among the diurnal ones. It is a nice time to see animals within a close distance as most game like to line up at the road sides to escape the morning dew. After breakfast at your camp you will then spend the day doing game drives for the whole day within the Serengeti National Park. The name Serengeti comes from a Maasai word ‘Siringit’ meaning plains without end and true to the name you will explore vast stretches of African Savannah in search of the many animals that Serengeti has to offer. Apart from the wildebeests you expect to spot other animals including elephants, lions, cheetahs, the elusive leopards, zebras, elands and a lot of resident and migratory birds. 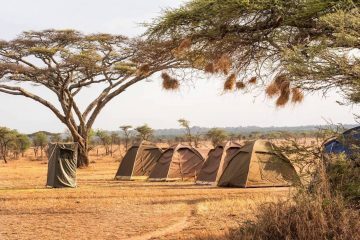 02nd Overnight at Thorntree Camp or Serengeti Green Hills Camp. All meals included. Serengeti National Park – Ngorongoro Crater. Breakfast at your camp / or lodge then we check out and head out for one more last game drive in the Serengeti. You will explore the Seronera River Valley rich in wildlife and bird life or anywhere else in the Serengeti as per your professional safari guide’s guidance. Your safari guide as usual will be in constant contact with other guides around through the VHF high frequency radios fitted in our safari cars so he will have a better idea on the best places to explore. Later in the afternoon you will drive back to the Ngorongoro Conservation area and check in at a lodge for dinner and overnight. Dinner and overnight at a nice mid-range lodge at Karatu like Marera Valley Lodge or Country Lodge at Karatu nearby. All meals included. This package like explained can be booked while staying at some more standard luxury lodging or even deluxe lodges / tented camps. We can include your arrival and departure airport transfers as well as accommodation at Arusha prior to the start of your safari. 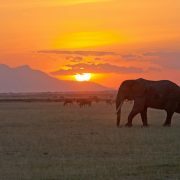 Contact our experts for more information and pricing if you need that for your next 5 day Safari in Tanzania.